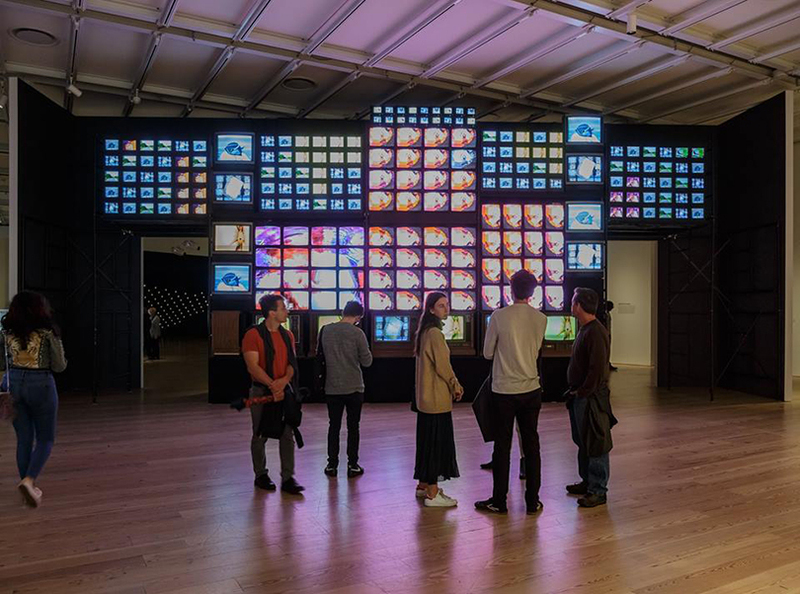 Nam June Paik’s 〈Fin de Siècle II〉 is being showcased at an exhibition 《Programmed: Rules, Codes, and Choreographies in Art, 1965-2018》 in Whitney Museum of American Art. It took seven years for conservation specialists to restore the piece because they had to replace televisions with equivalent units from the 1980s and re-control video and sound channels ―this was supported by Korea Foundation―. As a centerpiece of the exhibition, the huge, newly presented media installation should overwhelm people in the ‘programmed’ modern world.